The Prairie Flower nursery hours are 1pm-5pm Friday and Saturday. Feel free to call for an appointment! 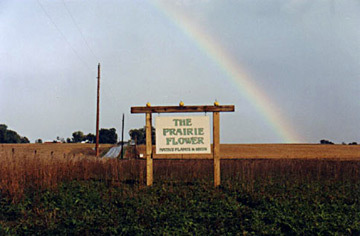 Prairie Flower Nursery, July 2004 with Seed fields in the distance. 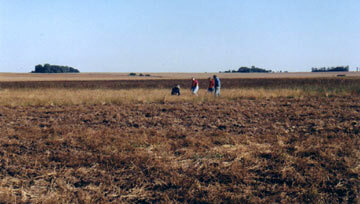 Guided and unguided prairie tours are available year round. Enjoy the flowers in summer or the many colors of fall. Bring a camera to capture the wildlife, and bring a friend to enjoy the fresh air and wide open spaces!